Now that spring is upon us, we are seeing more sunlight throughout the day. Although this is a positive thing after the dreadful winter, it means we are constantly monitoring how much light is entering our homes. One of the best ways of controlling light is by installing shutters to cover the windows in every room. 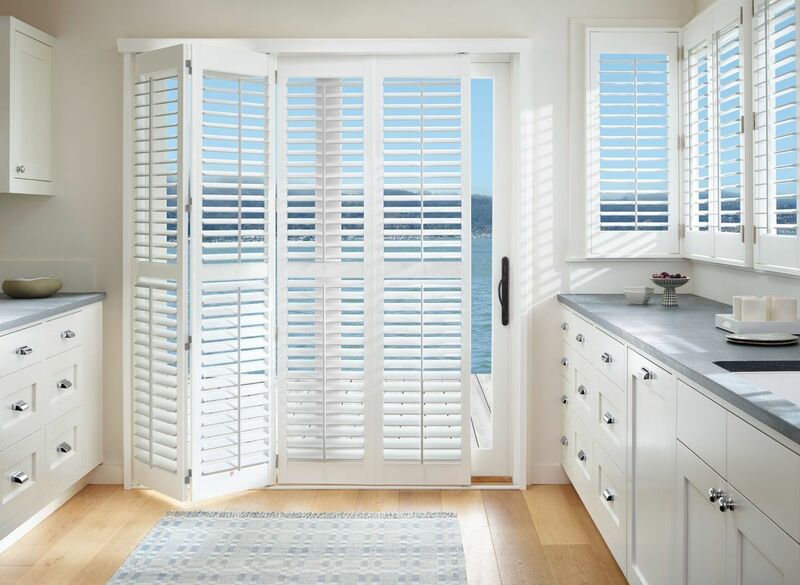 At Cadillac Windows Fashions, we offer a vast array of shutters, including California, wood and custom shutters to homes in Toronto and the GTA. Each option provides many benefits, with the most important ones highlighted below. Horizontal blinds are great at not only letting the light in, but also keeping everyone out. They provide privacy by blocking those passing by from seeing inside your home. This ensures a privacy that cannot be obtained from curtains, or most other window coverings. So if you are looking for added safety and security to your home, shutters are the best options. This makes them the perfect choice for all rooms, but especially the bedroom and bathroom. Shutters are also much safer than blinds from an interior perspective because they do not have a cord; a common hazard for children and pets. When sunlight enters the home through glass windows, it is multiplied many times, which causes the entire room to heat up. Now that it is getting warmer out, this may pose an issue. Window shutters are able to block out this light, and reduce the warmth in the process. As a result, you are able to save money on your electric bill as you won’t need to constantly turn the air conditioner on full blast. Not only do shutters provide insulation from the sun, they also have the added benefit of noise insulation. At Cadillac Window Fashions, we completely understand that you all have busy lives and are constantly on the go. Due to this, you may not have the time to constantly clean your window coverings. Although this might be the case, a build-up of dust can become a breeding ground for dust mites. This can cause major health concerns, especially amongst those with allergies. Unlike other window coverings such as drapes, it is extremely fast and easy to clean shutters. All they require is a quick wipe every once and a while and they are good as new. By installing shutters, it will take such little time out of your day in order to have a healthy and happy home. Shutters are extremely durable, meaning that they have an incredibly long lifespan. This one time purchase will leave you happy for years to come. In addition, by blocking out the sunlight, it will help prevent the furniture in your home from fading and you won’t have to replace it as often. Therefore, installing shutters is a great way to save money in the long run.